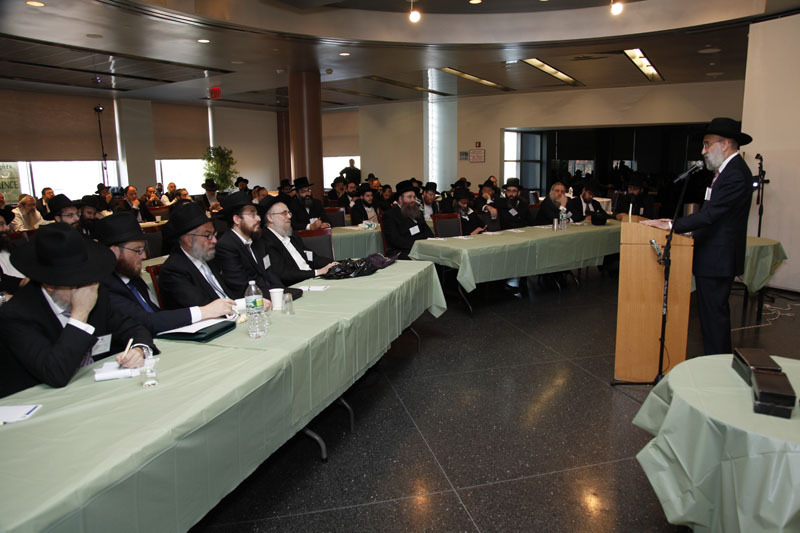 Recently, the OK held its annual Mashgiach Conference at the Jewish Children’s Museum in Brooklyn, NY. Over 150 OK personnel and mashgichim were in attendance, including many from around the world. 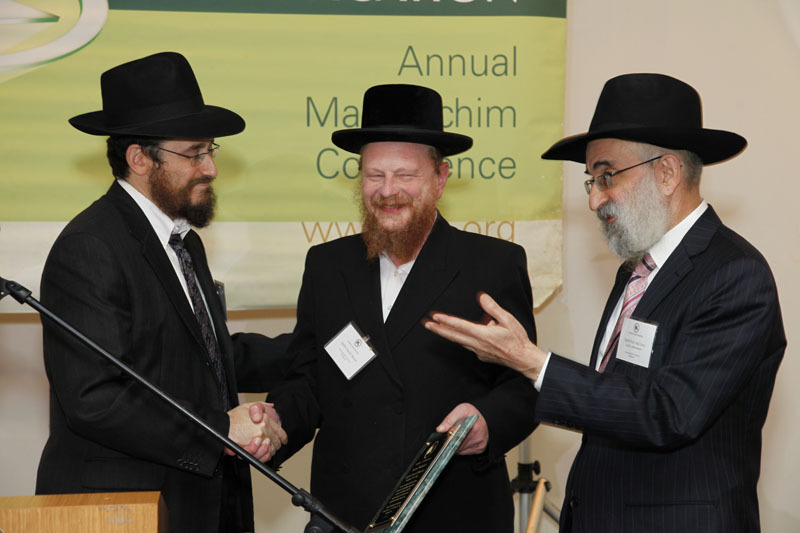 The OK honored two outstanding mashgichim – Rabbi Favish Moster and Rabbi Yehudah Pink. 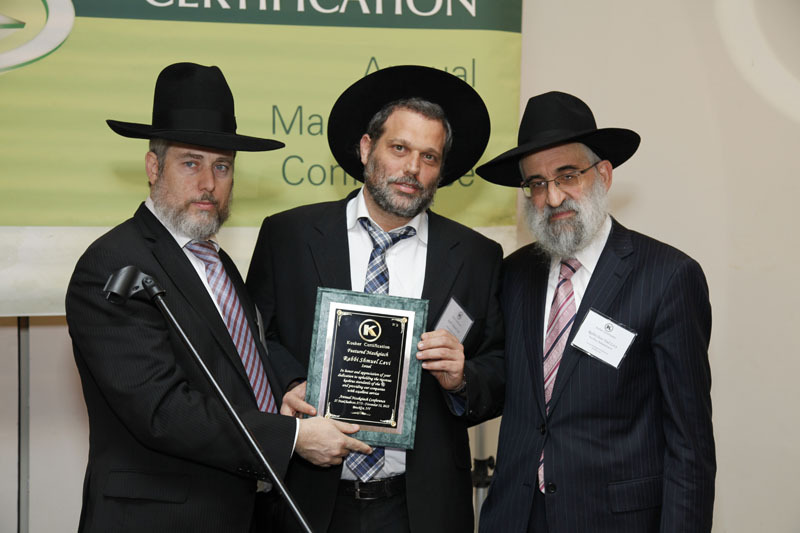 Both rabbis were chosen for their dedication to upholding the rigorous kosher standards set forth by the OK and the sheer volume of work they do on behalf of the OK. 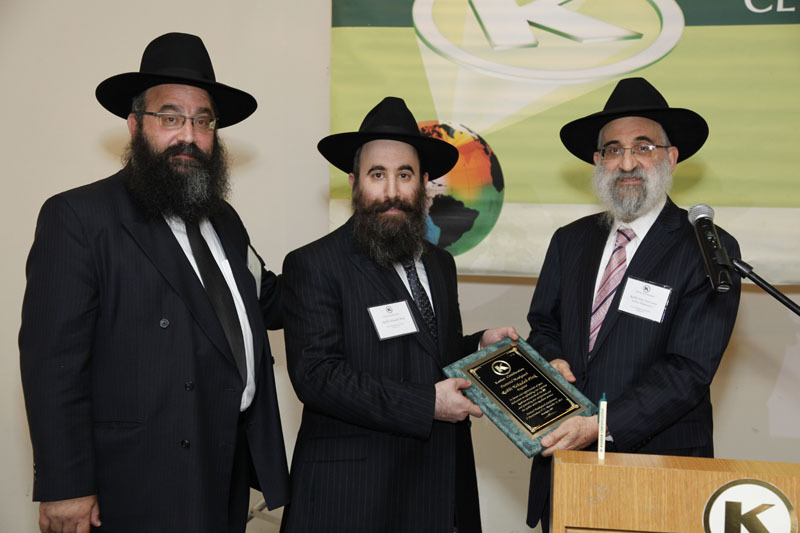 In addition, the OK honored two of their Rabbinic Coordinators from the Israeli office – Rabbi Shmuel Levi and Rabbi Yeshaya Prizant, as well as the liaison between OK Headquarters and OK Israel, Rabbi Moshe Fox, for their dedication and exceptional work. The OK also honored ConAgra Foods, a company who is making strides in increasing their kosher offerings, goes out of their way to uphold the highest kosher standards, and works well with their mashgichim and rabbis. 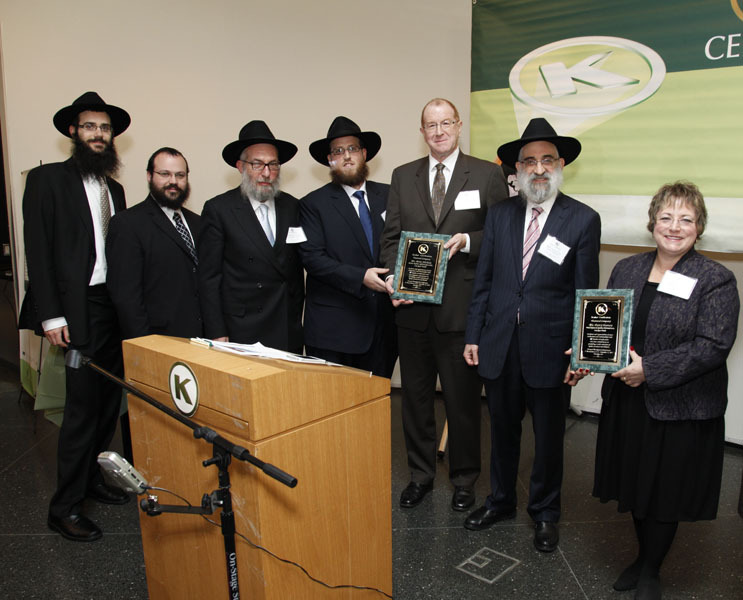 ConAgra Foods, makers of Hunt’s ketchup, Wesson oil, Pam cooking spray, and countless other kosher products was represented by longtime employees and kosher liaisons Mr. Britt Nichols and Ms. Patty Harvey who were on hand to accept the award on behalf of ConAgra Foods. 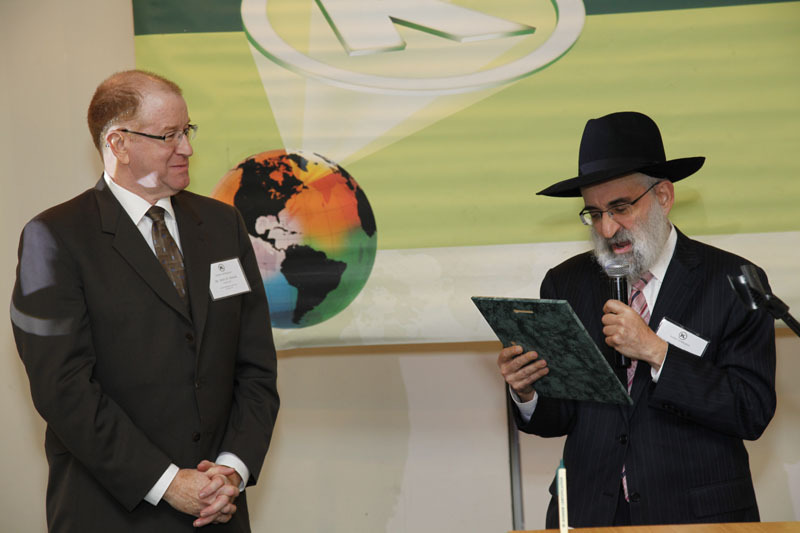 In addition, the OK celebrated our longtime relationship with Mr.Willy Geeraerts, who is soon to retire from Barry Callebaut Chocolate, the premier producer of kosher chocolate. 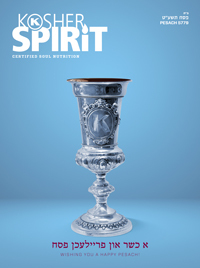 Rabbi Levy, Kashrus Administrator, opened the conference with words of Torah and encouragement and a fascinating explanation of kosher chocolate production which has been transcribed in this issue of Kosher Spirit. Other speakers included noted lecturer Rabbi Yossi Jacobson, Rabbi Saul Emanuel, Executive Director of Montreal Kosher, Rabbi Ahron Haskel of OK Israel, and OK Rabbinic Coordinators Rabbi Yitzchak Hanoka and Rabbi Yitzchak Gornish. 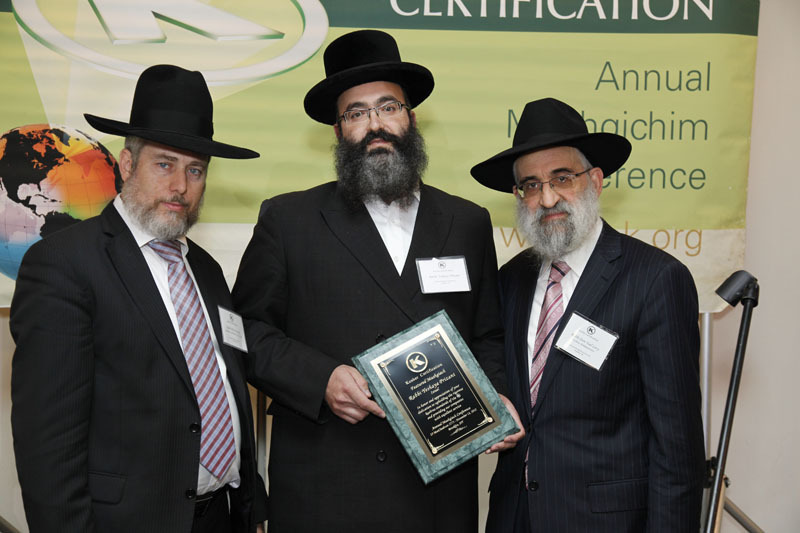 Rabbi Levy was also presented with Hakaras HaTov awards from three camps whose campers benefit greatly from his generous camp scholarship program. 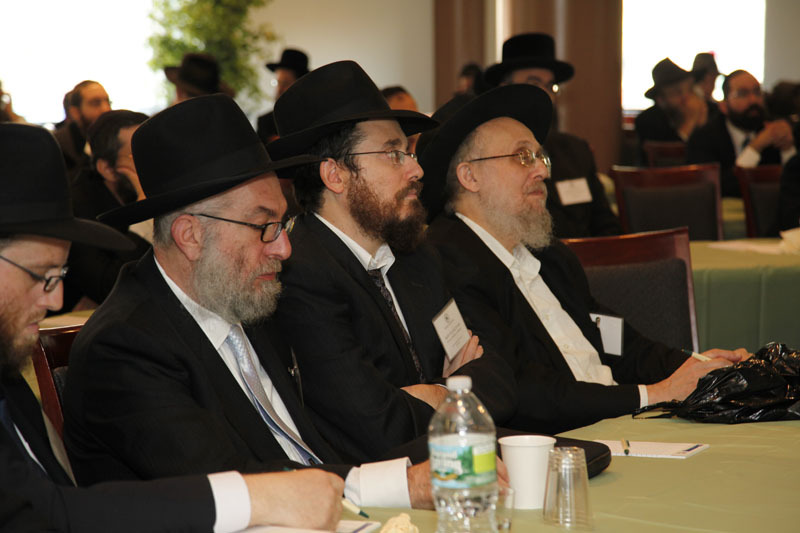 The conference ended with a lavish buffet lunch allowing the rabbis to interact with each other and OK personnel. Kosher 101: What is a Kosher Formula? A (kosher) formula is the recipe for a specific product certified by the OK. Each ingredient is listed, along with its kosher certificate, and the method of production is noted. We do not require the amounts of each ingredient used and the information is kept strictly confidential. When a product formula changes, it is crucial to submit the new formula so that it can be entered into the OK kosher management system. Formulas can now be submitted through our paperless program and are subsequently evaluated by the Formula Department and supervising rabbi. With a slogan of “Our ovens are always warm, and you are always welcome,” its no wonder that Sweet Tammy’s is known for its mouthwatering, kosher and dairy-free baked goods. They were recently recognized for their dedication to superb taste and quality with the “Best Flavors” award at the recent Kosherfest Expo at the Meadowlands. Sweet Tammy’s natural ingredients and additive-free recipes produce cookies and breads with an authentic,homemade flavor. Each product is made from scratch, using fresh, premium ingredients. The irresistible cookies, breads and challah are certified OK kosher pareve and are available at Sweet Tammy’s Pittsburgh bakery and other fine retailers. Visit Sweet Tammy’s for more information. 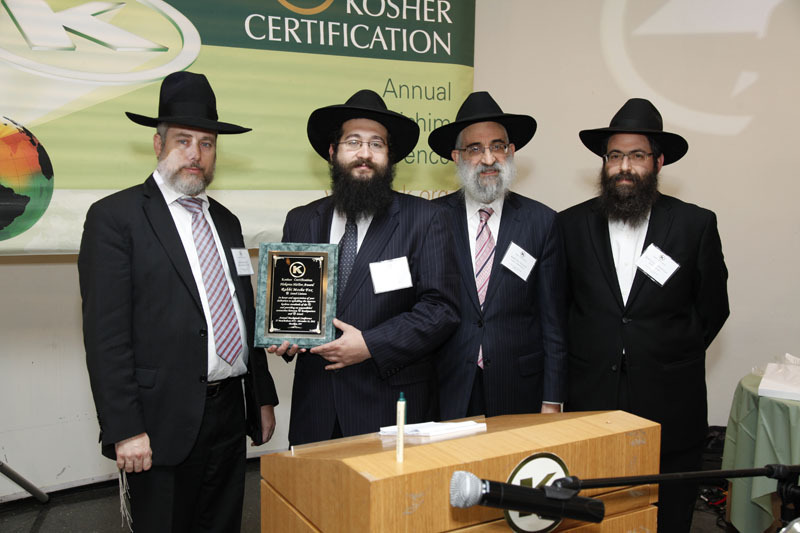 On November 27, Rabbi Chaim Fogelman and Rabbi Yankel Wilschanski represented OK Kosher Certification at Kellogg Company’s headquarters in Battle Creek, Michigan for an innovative kosher education seminar. 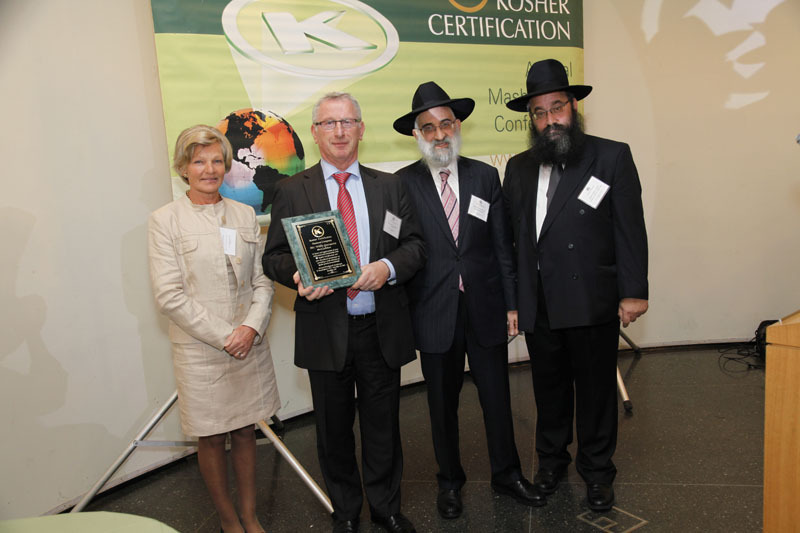 Kellogg is always looking for ways to improve its kosher program and provide educational opportunities to its employees. Thanks to the superb organization of Ms. Michele Miller and Ms. Tanisha Sutton of Kellogg Company, over 60 personnel participated in the seminar. Rabbis Fogelman and Wilschanski met with key contacts Ms. Miller and Ms. Sutton following the presentation to company personnel about the basics of kosher observance and kosher certification. 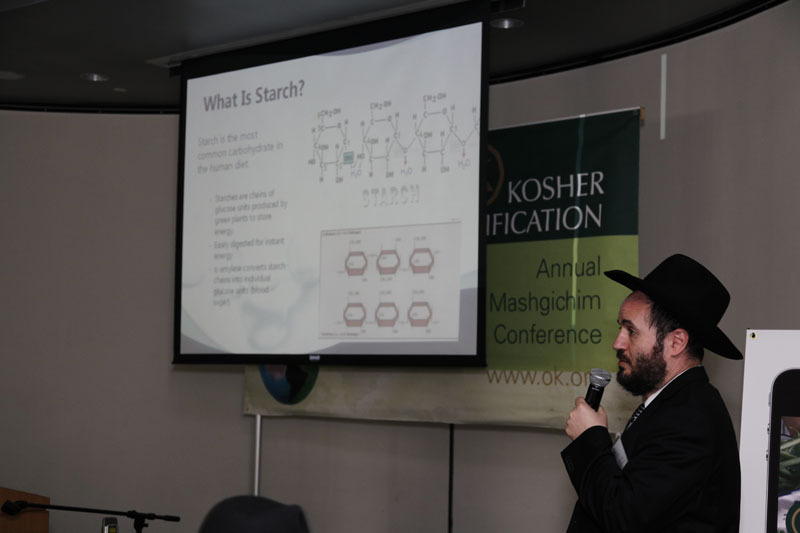 The presentation, given by Rabbi Fogelman, OK’s Director of PR, Marketing & Education, was custom tailored to the unique audience at Kellogg Company and highlighted the Biblical instructions for kosher observance, relevant terminology and the different categories of kosher. 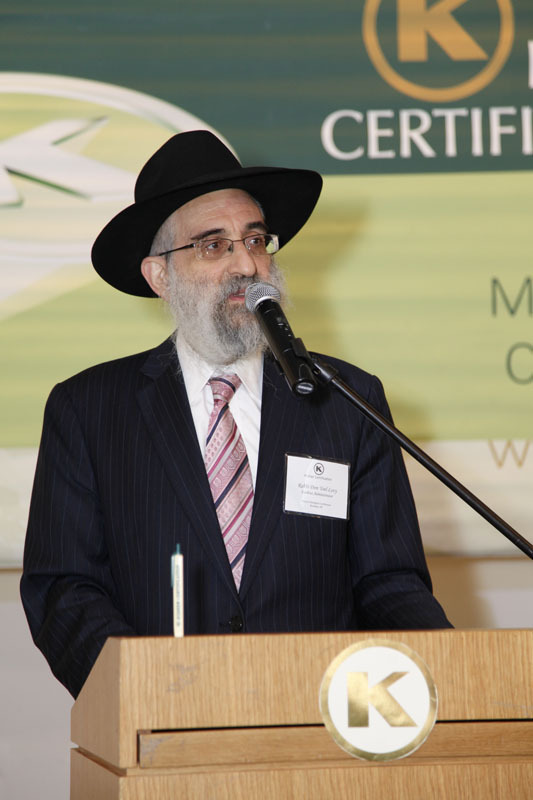 Rabbi Fogelman also highlighted the steps necessary for kosher certification and the requirements for kosher production equipment. 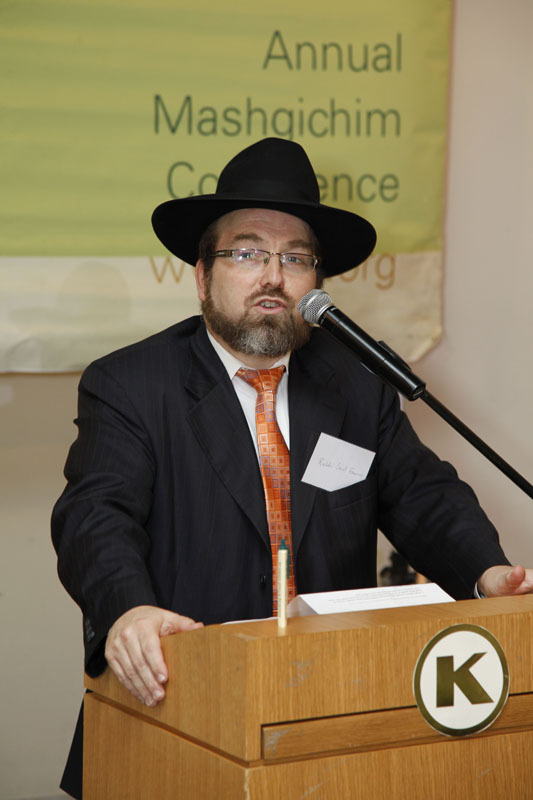 Finally, Rabbi Fogelman shared interesting data about kosher consumers in the United States and the rest of the world. 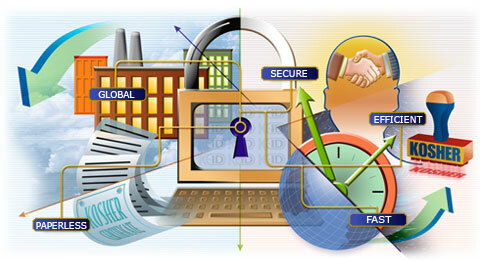 Kellogg personnel participated in a lively question and answer session following the presentation. 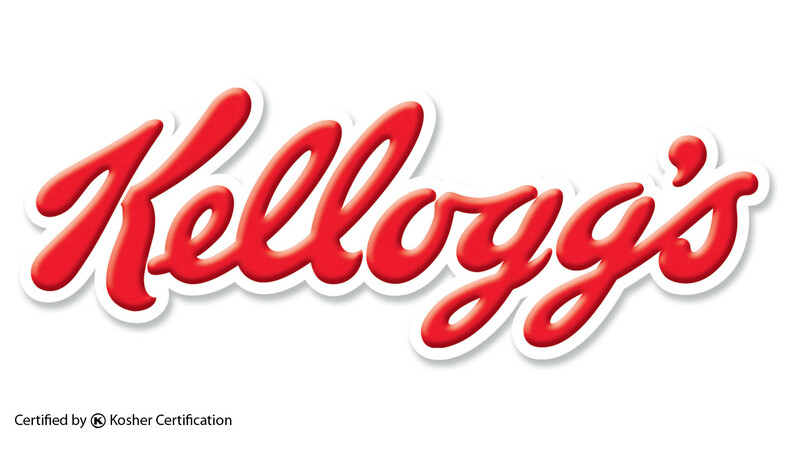 The OK currently certifies hundreds of products from more than a dozen brands owned by Kellogg Company, including: Cheez-It, Grahams Crackers, Sandies, Zesta, Vienna Fingers, Gardenburger, Chips Deluxe Cookies, MorningStar Farms, Toasteds, E.L. Fudge, Club, 100 Calorie Right Bites, FudgeShoppe, Gripz, Town House, Lorna Linda and Wheatables.